We all know we need to eat healthy but 90% of us weren’t taught how to cook healthy! Our poor parents were just trying to make ends meet, and get food in our stomachs. No one had time to really direct us. The problem arises when we decide to make healthy choices for ourselves and switch to better food. It back fires, the food is tasteless, and dry. Our efforts to eat healthy are met with dissatisfied taste buds, which eventually get the best of us. However, if you keep at it and research (or read Fit Tip Daily), you slowly learn the fitness tips that make eating healthy enjoyable. This “Say NO to dry chicken breast,” could be all you need to keep you eating white meats. Most people bake, bbq or pan fry their chicken. Then they wonder why it’s dry and rubbery. Boiling your chicken in chicken broth is the ultimate tip to keep your chicken moist and flavorful. Once the chicken is cooked, take it out of the broth and set it aside to cool. Next shred the chicken breast and place it back in the broth to store in the fridge. I use glass lock containers to prevent food from tasting like last weeks meals. It also keeps the food fresher longer and it’s void of chemical that leach into foods from the plastic containers. 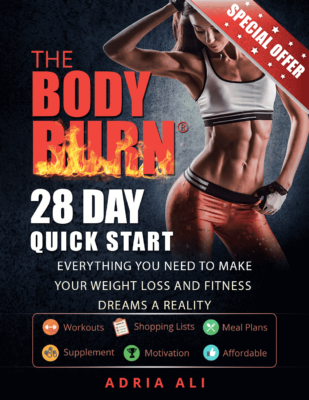 Hopefully, this fitness cooking tip helps you keep your chicken flavorful, and your body lean. 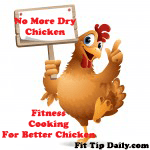 Share this fitness tip on preventing dry chicken breast with your friends and family. Use our “Share” link above to keep the ball rolling!